Grades 7-8: Coming of Age and Our Whole Lives (a Human Sexuality Curriculum), are complimentary curricula taught on a two-year rotating basis. 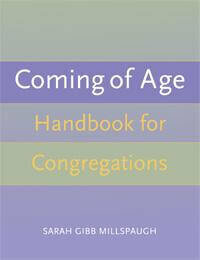 Coming of Age is an experience designed to meet the needs of youth as they prepare to enter adolescence. They are maturing in new ways – physically, cognitively, emotionally, and spiritually. This maturation opens the door for greater understanding of their faith. The goal of the program is to help students better appreciate Unitarian Universalism, their own beliefs and values, and how these intersect. Students present credo statements as part of final celebration. OWL is a positive, comprehensive program assisting students in gaining the knowledge, values and skills to lead sexually healthy lives and engage in relationships. It is taught through the lens of UU principles and values. Instructors are specially certified.